Sturm, Ruger & Company, Inc. (NYSE: RGR) is proud to announce that it has signed Maggie Reese Voigt to its professional shooting team. Maggie takes the sixth spot on Team Ruger, led by Captain Doug Koenig. 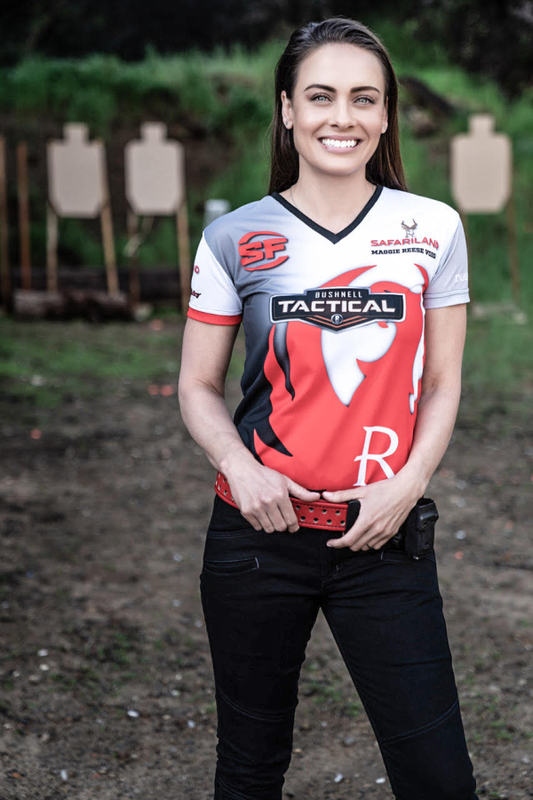 In addition to serving as a competitive shooter for Ruger, Maggie will also represent the Company as an official Brand Ambassador. Maggie has also appeared on television series Top Shot, Shooting USA and Modern Shooter. Maggie made her national debut as a member of Team Ruger with a High Lady win in the PCC Division at the Safariland Mike Voigt Memorial UPL Match and Safariland Expedition UML Championship hosted in Las Vegas, NV on March 15-17. Future matches for Maggie include the NRA Bianchi Cup; Steel Challenge, USPSA, and Multi-Gun competitions; as well as a number of other state and national competitions throughout the year. Facebook.com/Ruger. To find accessories for Ruger firearms, visit ShopRuger.com or your local independent retailer of Ruger firearms. Sturm, Ruger & Co., Inc. is one of the nation's leading manufacturers of rugged, reliable firearms for the commercial sporting market. As a full-line manufacturer of American-made firearms, Ruger offers consumers over 600 variations of more than 40 product lines. For more than 60 years, Ruger has been a model of corporate and community responsibility. Our motto, “Arms Makers for Responsible Citizens®,” echoes our commitment to these principles as we work hard to deliver quality and innovative firearms.